The Oldest Winery in Ohio . . . Check. Sometimes I add things to my Bucket List after I’ve done them . . . just so I can check them off. Because I still haven’t been able to check-off Visit Antarctica or Play Quidditch, and I’m starting to feel a little unsatisfied. So, sometimes I add things and make them retroactive . It’s probably against the Bucket List Rules, but I don’t care. 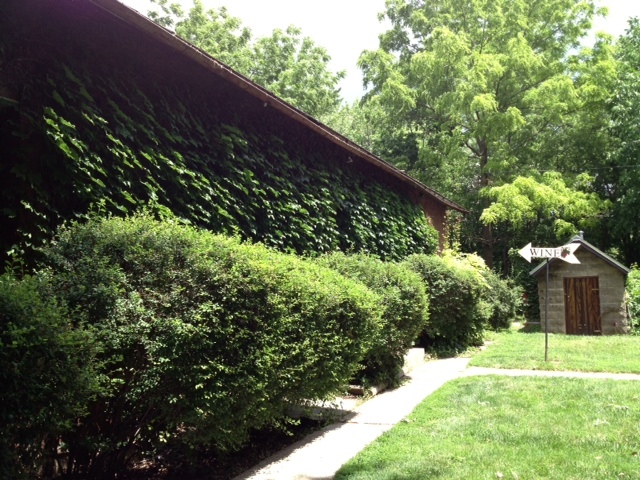 Visiting the oldest winery in Ohio now has a big, satisfying check mark next to it. A couple of weeks ago, my kids and I were up in northwestern Ohio visiting my parents. We always go to Tony Packo’s in Toledo for lunch — it’s tradition. When I was a kid, my mom and I watched M*A*S*H in continuous loop. (To this day, if I’m flipping channels and M*A*S*H is on, I drop everything and sit down to watch it). 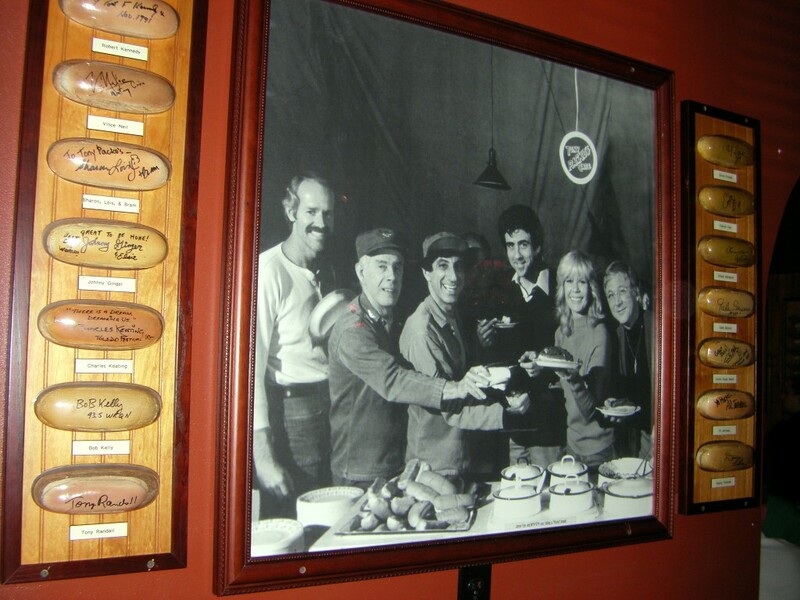 There’s an episode where Klinger mentions Tony Packo’s: “If you’re ever in Toledo, Ohio, on the Hungarian side of town, Tony Packo’s got the greatest Hungarian hot dogs.” Klinger might have been fake-crazy, but he knew his dogs. After inhaling our hot dogs and chili, we indulged in another family tradition — visiting a winery (aka Torturing the Teenager). I did a quick Google Maps search for the closest winery to Tony Packo’s, and came up with this: Johlin Century Winery. Set your wine expectations for Ohio, Midwest, USA. I use the word winery generously, because it’s basically an old farmhouse with some wine in it. The word I kept coming back to was primitive. We were greeted by an enthusiastic young man named Bolan. (I hate that I’m old enough to refer to people in their 20s as young man). 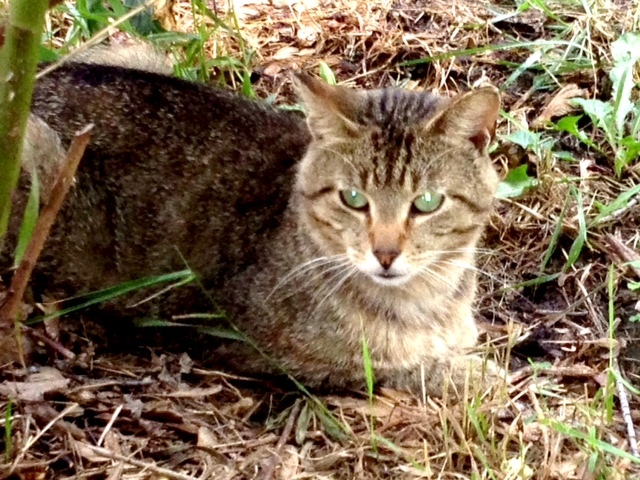 We were also greeted by a few friendly winery cats . . . with spooky green eyes. The Johlin Family came to Ohio in the mid 1800’s from Freiburg im Breisgau, Germany, near the Rhine River. The first vines were planted in 1867, and the first wine was produced in 1870. Currently, Bolan and his brother run the winery — the 5th generation to do so. And btw, Johlin is pronounced Yay-lin. Which led to discussions between my dad and I about how the “o” must have been umlauted once upon a time in Germany . . . Jöhlin. 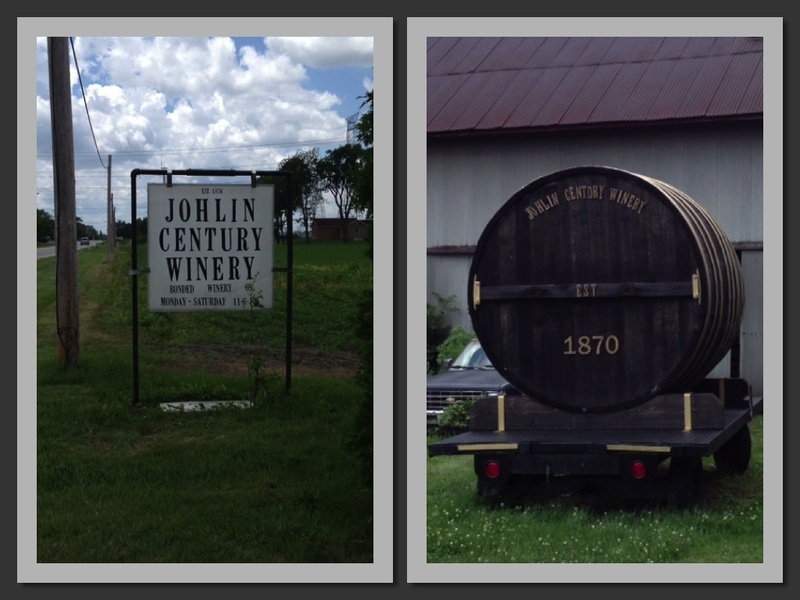 According to Bolan, Johlin Century Winery is the oldest winery in Ohio. “There’s another winery that says they’re the oldest, but they’re not. We are.” So there you have it. End of discussion. 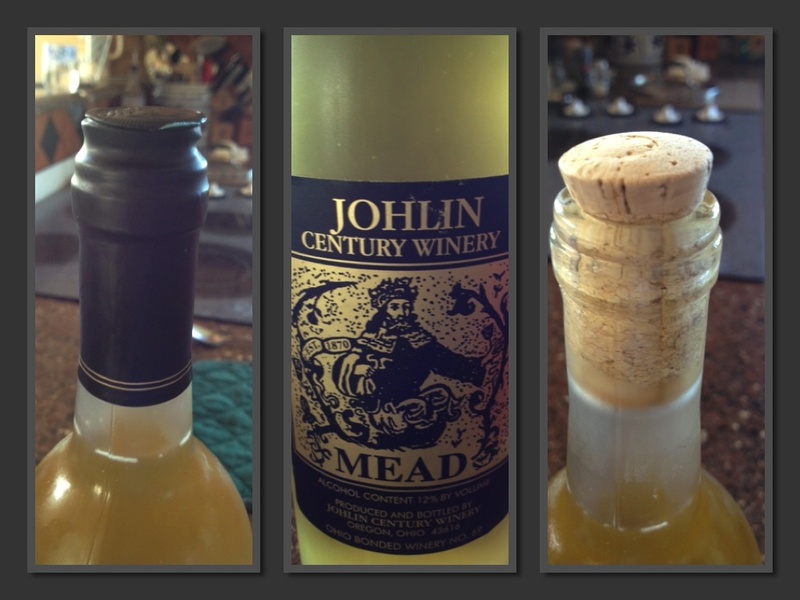 Johlin Century Winery is sitting on a goldmine of historical relics. Bolan has repurposed or is trying to repurpose everything on the property. 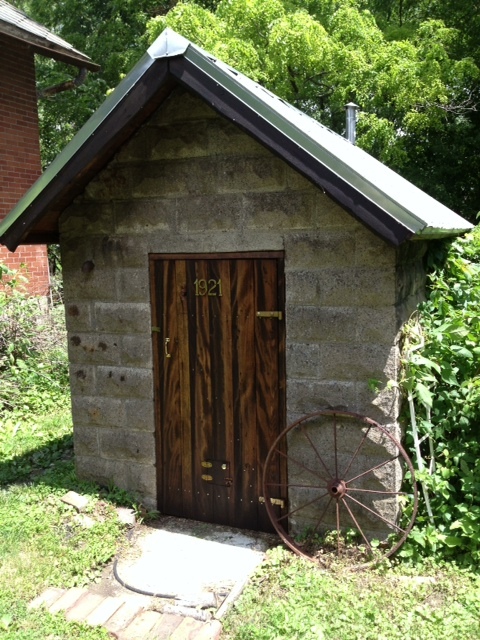 For example, the old farm house suffered a fire, so he salvaged all the floor boards out of the attic and replaned them into a new door for the smokehouse, which stands as sentry outside the tasting room. Winding our way into the “tasting room” (again, a generous phrase because it’s not really a tasting room as much as it’s a closet with shelves of wine), I started to feel like I was in an episode of Moonshiners. There is no tour (there’s really nothing to tour), but Bolan is a proud ambassador of Johlin Family history, and he’s got a digital slideshow of the history of the winery property on display in the wine closet. 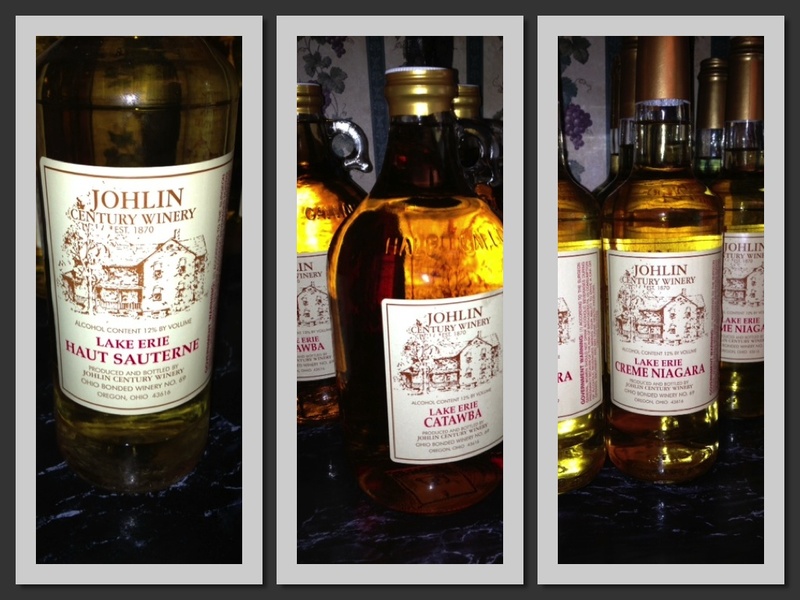 The wines offered at Johlin Century Winery are almost exclusively Concord (think grape jelly) and Catawa based. He’s also got some fruit wines and Mead. Yes, that’s a half-gallon sized bottle. Maybe it is moonshine . . .
Bolan said he couldn’t offer us a tasting because he got into permit trouble with the county because he didn’t have a flush toilet on the premises. I swear that sounds like a pitch for an episode of Seinfeld. But I’ve been to plenty of Virginia wineries that don’t have flush toilets — only port-o-potties, so the rules must be different in Ohio. 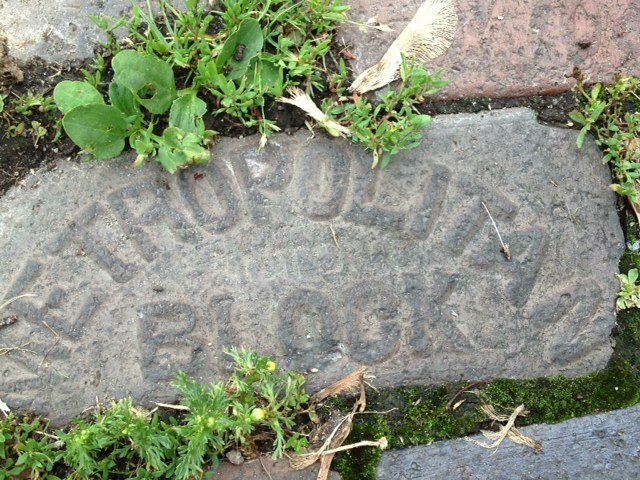 Historical Sidebar: Way more interesting than the wine was the bricks Bolan used to repave the farm/winery driveway. Bolan told us the bricks were made by German POWs during WWII. It makes sense, because there was a German POW camp at Camp Perry, near Port Clinton, Ohio, from 1943 until 1946. 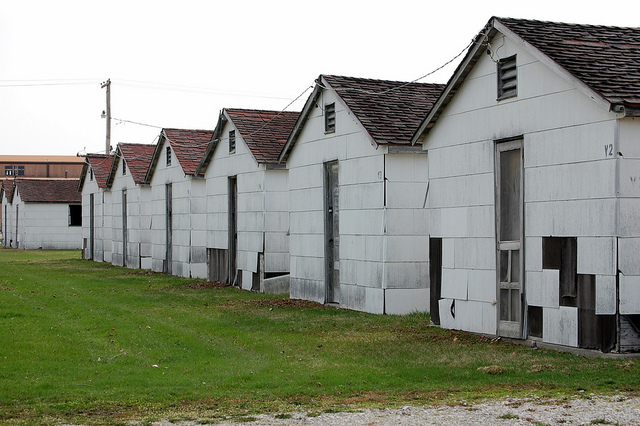 These are the remnants of the POW barracks. Defying Mother Nature, several rows of these relics still stand. Armchair Sommelier Trivia: When I was three weeks old, I stayed in one of these huts. That would have been 1970, when my dad was still shooting competitively, at the National Rifle Matches at Camp Perry, Ohio. I have no memory of that stay . . . my mom assures me it’s better that way. Anyway, back to the bricks. The bricks came out of the City of Toledo, as sections of the city moved from brick to asphalt roads. Bolan bought them and repurposed them at his winery. If this story is true . . . I’m beyond fascinated. I felt like I needed to buy something from Bolan, so I chose a bottle of Mead. Mostly because it was the bottle that scared me the least. Also, I thought I might feel medieval when I drank it. So . . . next question: Did this happen because of improper (hot) storage, or because fermentation continued after bottling? Any thoughts?? I couldn’t decide whether this wine smelled like perfume or pancake syrup. If you were to melt one of those honey-herb flavored Riccola cough drops . . . that’s exactly what this wine tastes like. I suppose if I were a medieval serf, and I had to choose between Mead and salmonella flavored water, I’d go with the Mead. The bottomline: If you ever find yourself in northeastern Ohio, go get a hot dog at Tony Packo’s and head on over to Johlin Century Winery. Johlin doesn’t make world class wine. Not even close. They don’t have a manicured lawn or a single picnic table. They may not even be able to offer you a taste of wine. What they have is one guy, tending to a legacy of land that’s been in his family for almost 150 years. He’s a caretaker of history, and he’s willing to share it with you. Seems like a good reason for a visit to me. I think you meant Northwestern Ohio vs. Northeastern Ohio if you were up near Toledo. As a proud Buckeye from Central Ohio I’m pleased to help. No problem, great article. enjoy KW and have one at Captain Tony’s for me. Captain Tony’s . . . going on the Bucket List! Thanks, Bruce!! A university Quidditch team? LOVE it!! Salud! Another great blog! I laughed out loud — and reminisced your first visit to Camp Perry. Now I know why you were questioning me on that! Great job, daughter! Wasn’t M*A*S*H great?? 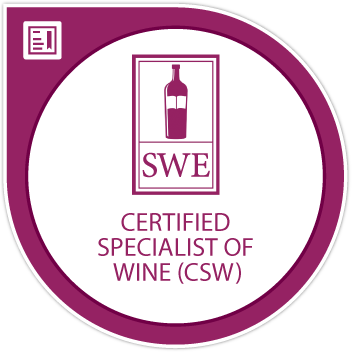 And I didn’t even think about using Winery Passport . . . should have! Salud!! Sounds like fun, I love that you visited that little winery, it sounds perfectly charming. Maybe not great wine or even good but love they are maintaining the family tradition. Good for them. It was an experience, for sure . . . but one I’m glad I had! Salud!! When in Toledo, one has to stop at Tony Packo’s. 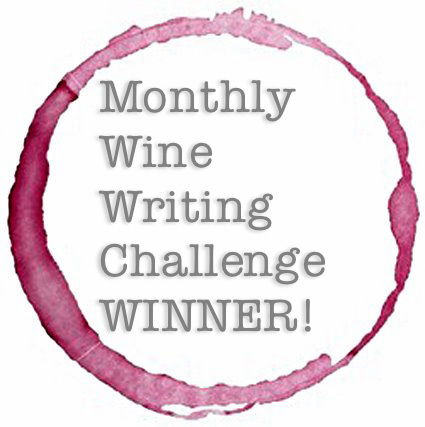 I wrote about a trip there once myself and you made me smile from the great memory of the time, though I did not visit or even know of this winery. Thank you.. I love Tony Packo’s . . . once a year like clockwork! Salud! I spent many years living in Ohio. Nice people? Yes. Wine? I’ll pass….unless you like cherry liquid cold medicine. Let’s face it, there isn’t much you can do with the kind of grape stock that’s there. But, for what it’s worth, if you really need a fix, it only hurts for the first bottle. It only hurts for the first bottle . . . love it! Salud, Connie!! I love M*A*S*H! I have never been to that part of Ohio, but if I ever do, I’ll have to stop by Tony Packo’s. It also sounds like a very interesting winery – if only for the history of the place.